I miss the golden Fall, that cries over it’s broadleaf trees, setting up a spectacle, sending me to my old books, to cups of chamomile tea and talks about how other Autumns used to be. I miss the blurred glass, where I used to walk the tip of my finger, drawing paths to my future, looking for my way to reach you. I miss the old me, the way everything had smell, colour and taste, the fragrance of my warm clothes. But I still cherish the fall I have. It’s still me in it, a little more cried out, a bit older, maybe with some dreams lost on my way. But it’s still me in it. I’m her Isabela, She’s my ripe Goddess. I feed her trees, she’s feeding my poetry. Grateful for what I have been through, grateful that I’m alive to see another fall glowing. 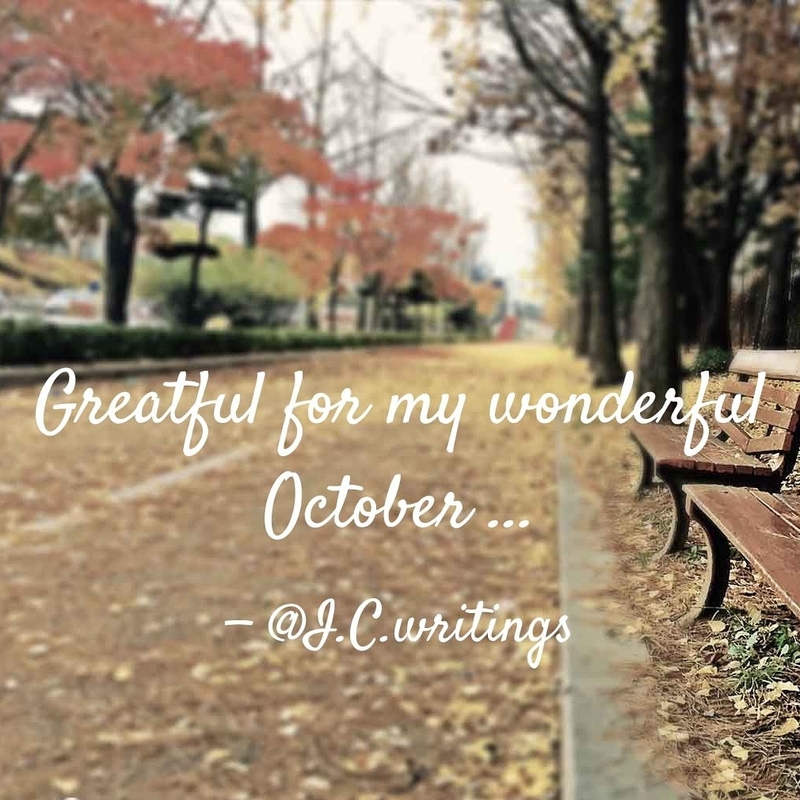 My October … Thank you. It’s simply beautiful,music when soft voices die vibrates in the memory.